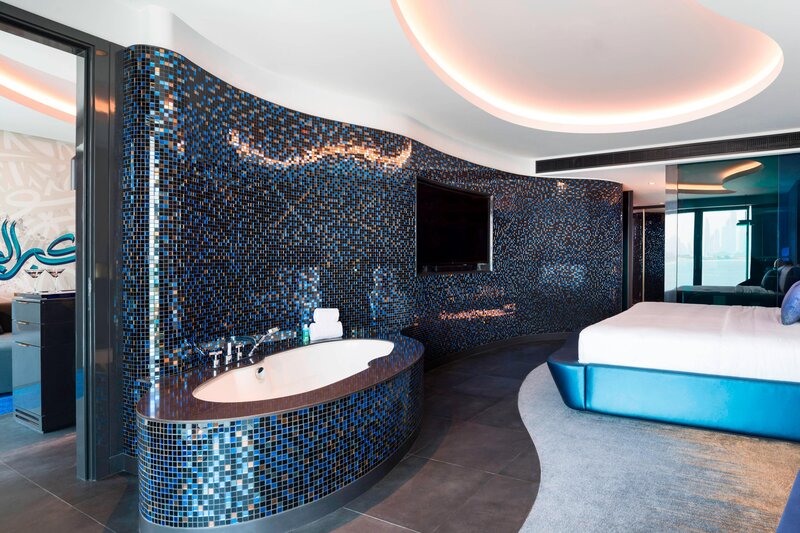 Hit escape at W Dubai – The Palm, where the details bring the design narrative to life. 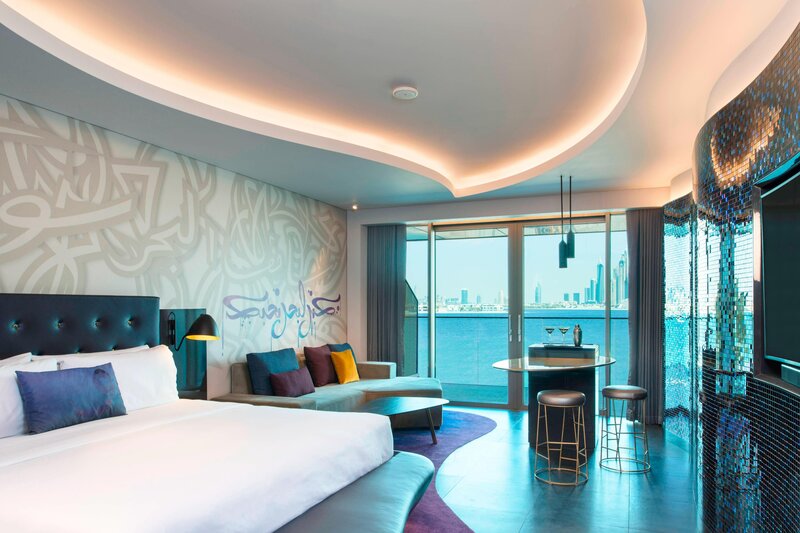 All 292 rooms & 58 suites have a glistening view of the Arabian Gulf or Palm Jumeirah, house the W Signature Bed and the W MixBar. The design draws you in with hypnotizing sinuous glass-tiled walls contrasting urban graffiti artwork and leads you out to the spacious event terrace. There you can choose to be in the center of the action without being the center of attention. When you choose to roam, all the conveniences of home await you; coffee & tea stations, rainfall shower and free-standing bathtubs, and complimentary wi-fi. Within our suites, the inviting spaces are meant for mix & mingling with separate lounge areas, catwalk dining tables or vinyl record players. Plenty of space to stay and play, W Dubai - The Palm sets the tone with inspiration for relaxation or escapades. Live it up! Stay sensational at W Dubai - The Palm. Rooms and Suites with a panoramic views over Dubai Marina and Jumeirah Beach. Relaxing guest rooms featuring the comfortable W Signature Beds in every bedroom. Comfort is fused with Bliss® Spa amenities in every bathroom. Balcony furnished with daybed, table and seating for 2 persons. Change the mood of your room with Mood lighting system.